Ghostly Circus co-organizer, Lauren Raske, right, and Laura Rennegade rehearse their performance moments before the start of the show. 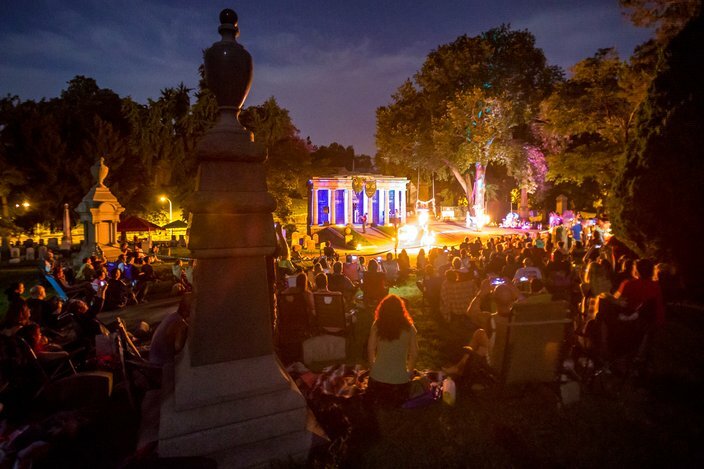 Set deep in the heart of Laurel Hill Cemetery, amongst the neoclassical tombs and infused in the landscape of statues and flowers honoring the dead came Ghostly Circus: Heaven’s Theatre. 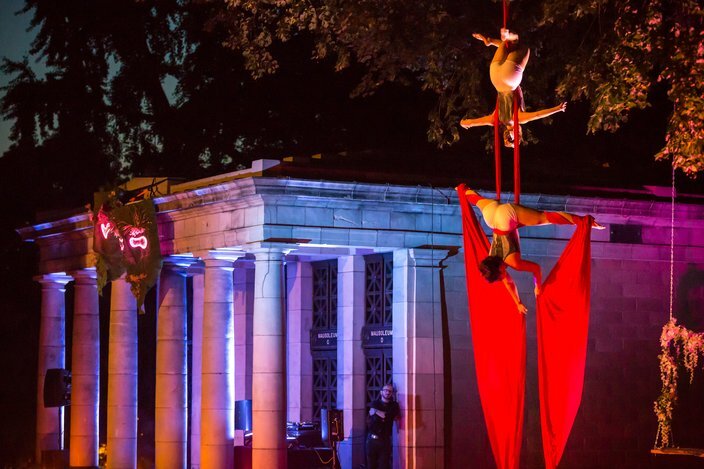 An evening showcasing professional circus and flow arts, sprinkled with a touch of flavor from the Burning Man arts community, brought high-flying aerial and fire performances, along with flavorful music by Worldtown and The Architech to the hundreds of spectators nestled amongst the gravestones. 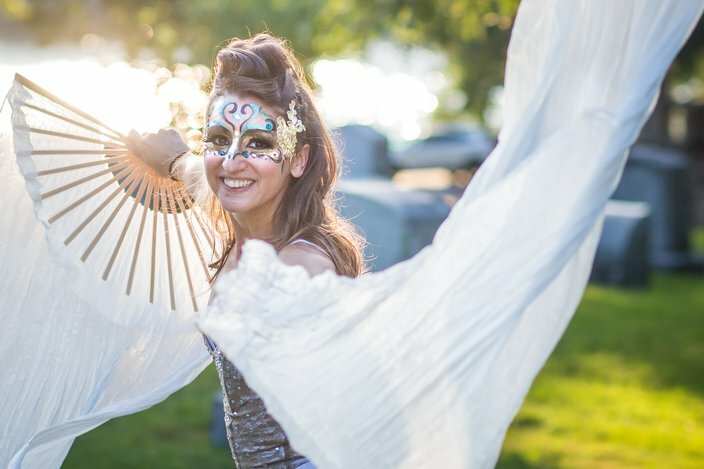 The event, in its fourth year running, is created by Lauren Raske and Britt Killeen of 7Textures, a contemporary event design and set building company that specializes in community celebrations, weddings, and the performing arts. Below is a series of photos from this year’s showcase. Spectators filter in before the start of Ghostly Circus: Heaven's Theatre. 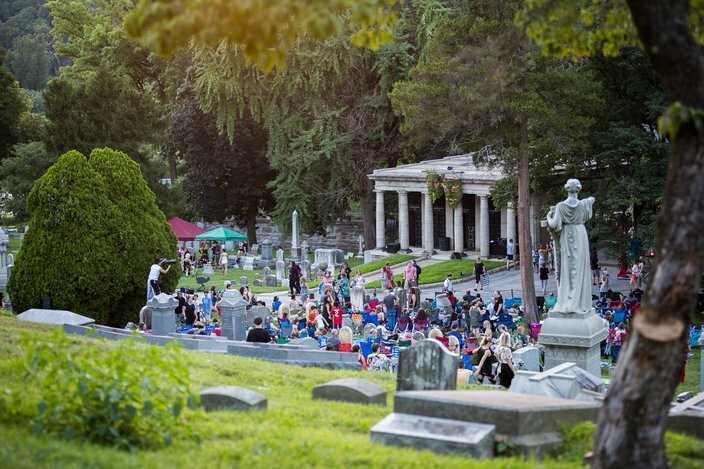 The performance is set in the rolling hills of Philadelphia's Laurel Hill Cemetery amongst a backdrop of gravestones, statues, and mausoleums. 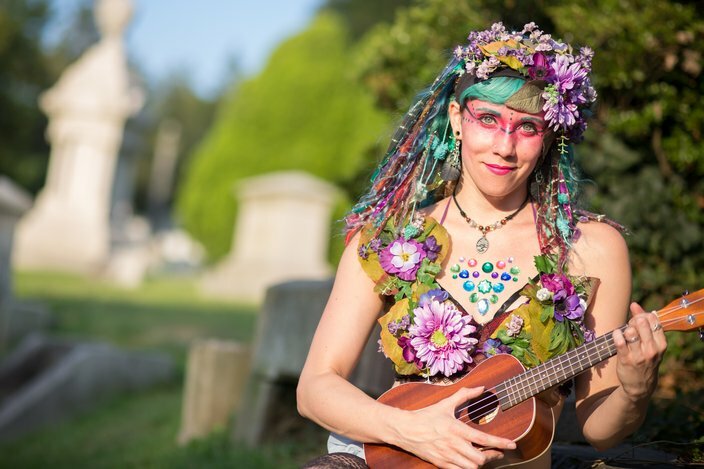 Aerial performer and musician Lee Thompson poses for a photo before the start of the Ghostly Circus, Friday, Aug. 4, 2017. 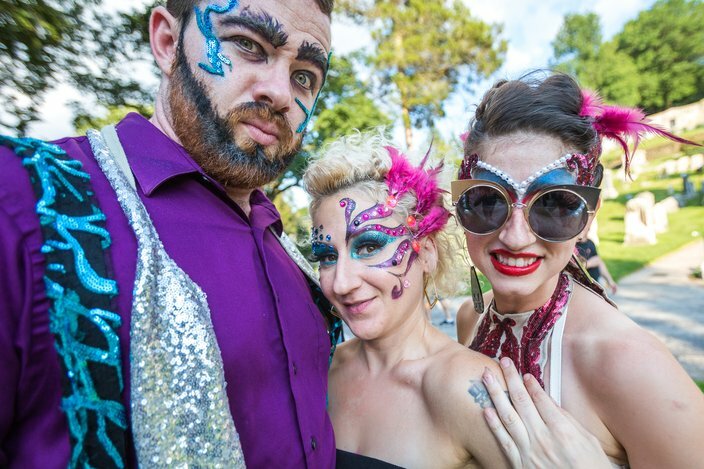 Emcee of the event Michael Nighttime, poses with performers Erin Flanigan and Lauren Raske before Friday's show. Laura Rennegade rehearses her performance moments before the start of the show, Friday, Aug. 4, 2017. 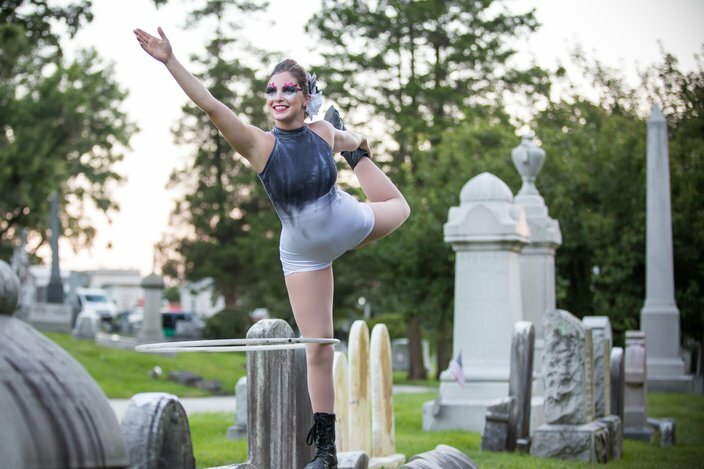 Chi-Wen Lee performs on the aerial silks as guests make their way through Laurel Hill Cemetery before Friday's performance. 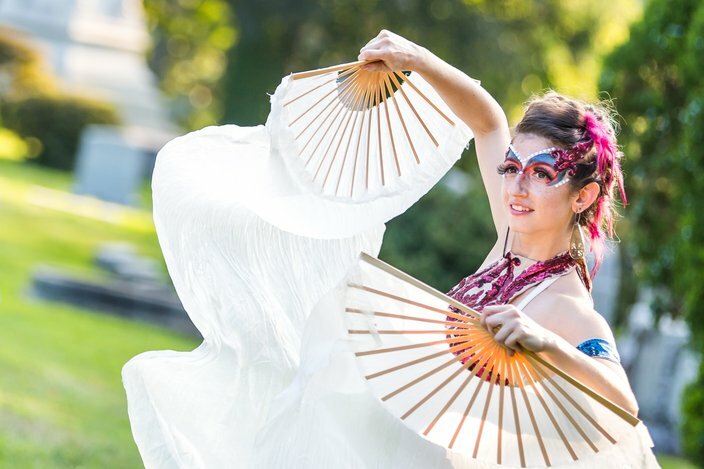 Ghostly Circus co-organizer Lauren Raske rehearses with silk fans before Friday's show. 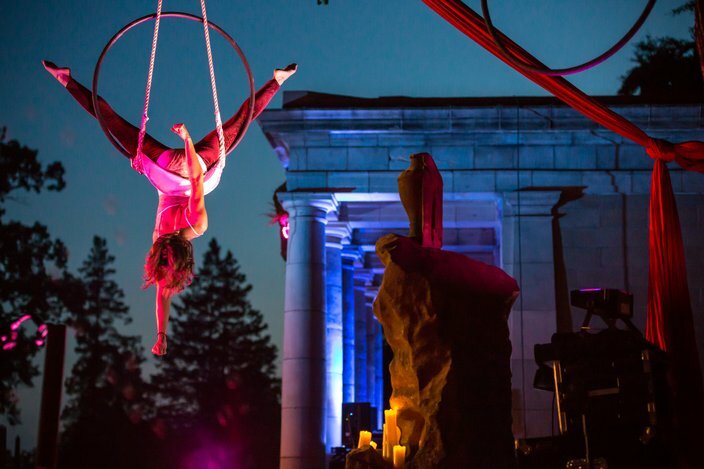 Aerial performer Rae Mae balances while hooping before the start of the Ghostly Circus: Heaven's Theatre, Friday, Aug. 4, 2017. 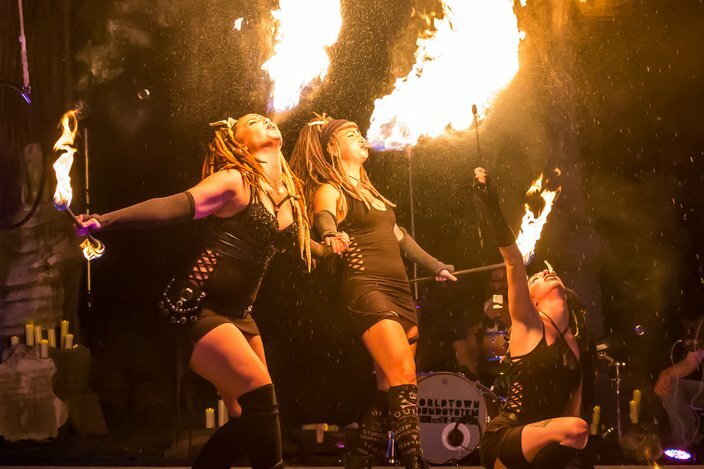 Roo Marie, Amanda Mandalay, and Tippy breathe fire during their performance in the Ghostly Circus: Heaven's Theatre. 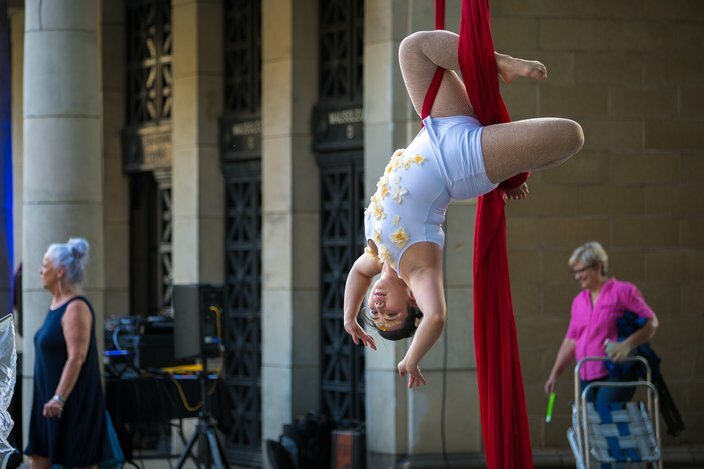 Laura Rennegade hangs upside-down while performing on the lyra. 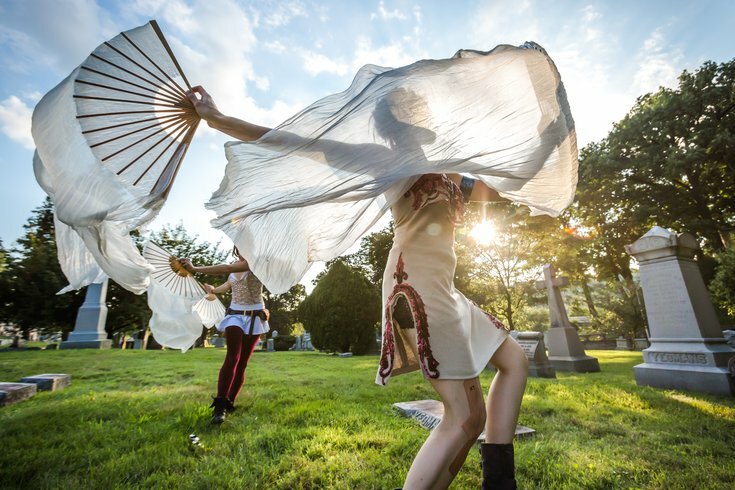 Performers Rae Mae, (top), and Wei Wei, perform on the the aerial silks at the Ghostly Circus: Heaven's Theatre. 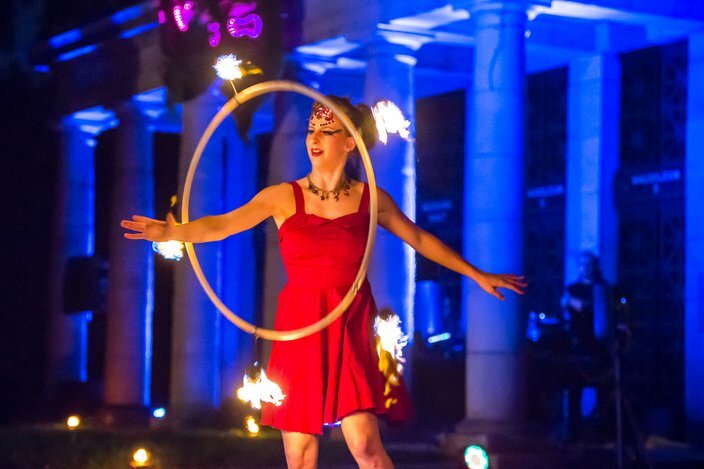 Allie Hart spins a fire hoop during one of her many performances Friday, Aug. 4, 2017. 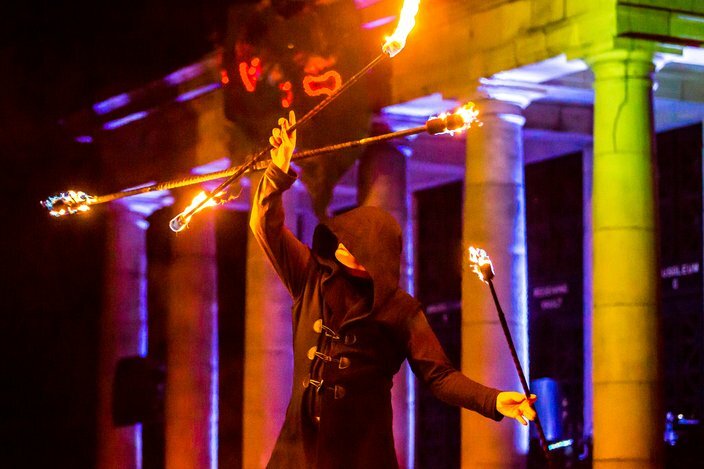 With an almost legend-like status in the flow arts scene, Lucas Boyd executes a performance with the triple contact-staff. 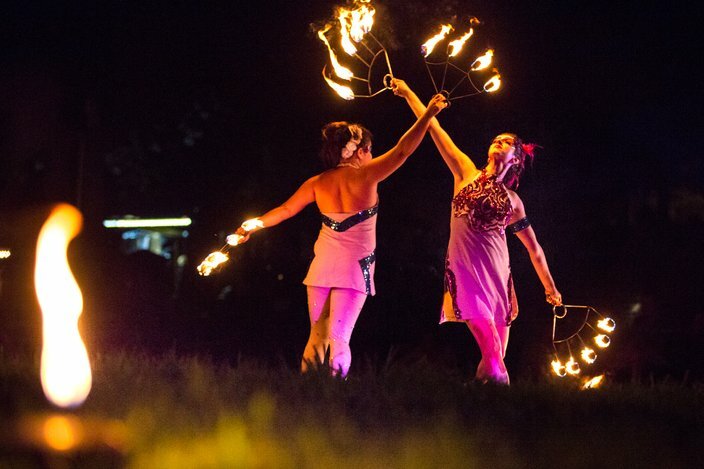 Wei Wei and Lauren Raske dance with fire fans to music from the Philadelphia-based band, Worldtown.